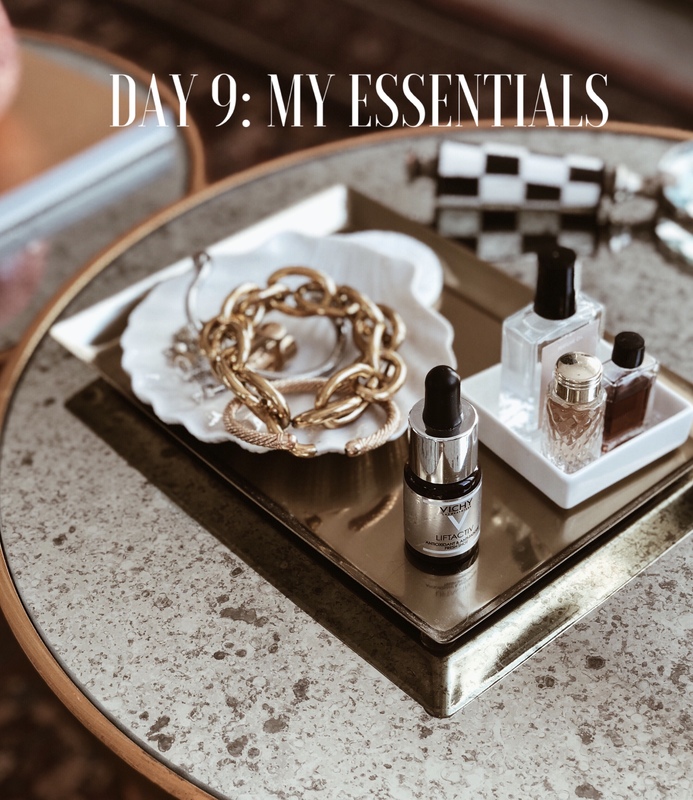 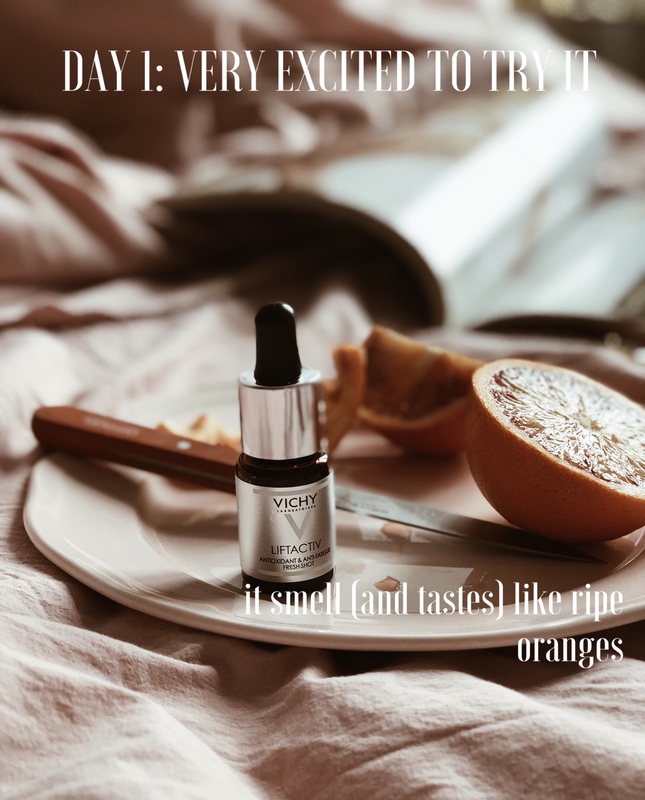 – it’s a pure formula so it should not be used longer than 10 days in a row and should reduce fine lines and brighten complexion, skin tone and improve tightness. 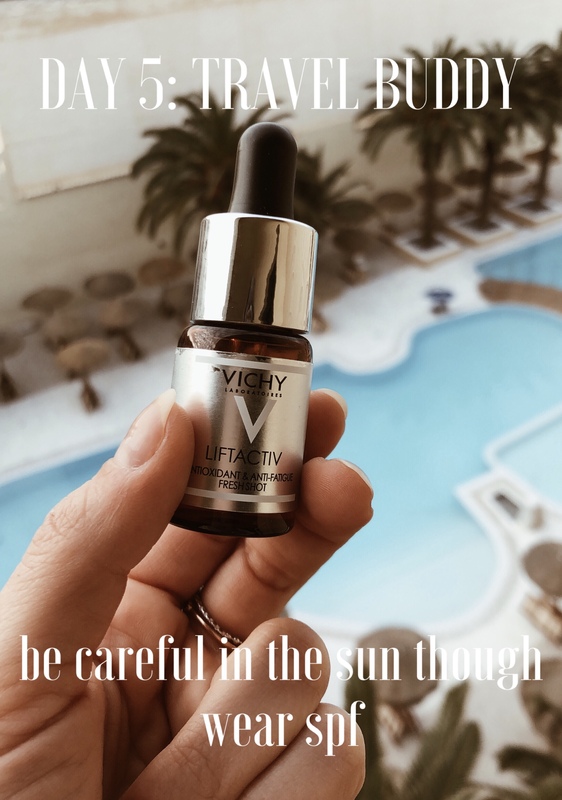 Careful when you’re exposed to sunshine, always wear SPF protection in combination. 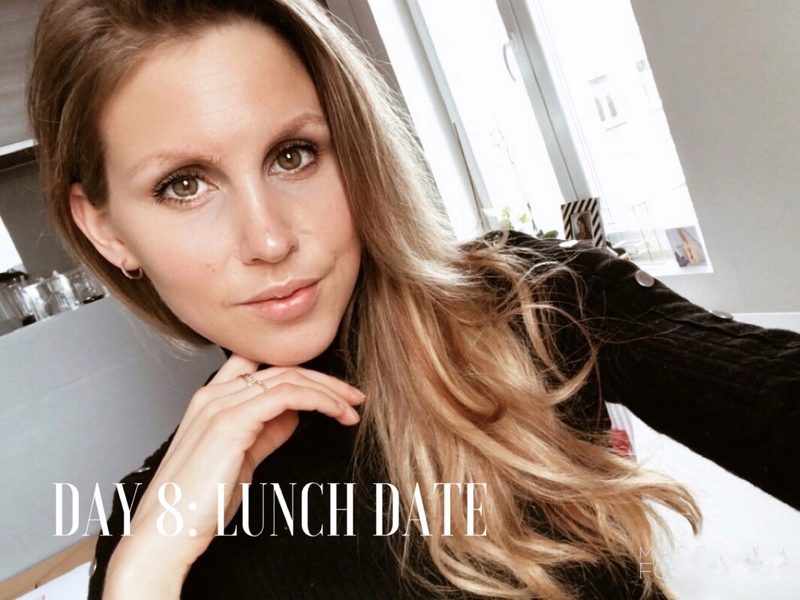 Since pictures say more than words, here’s a recap of my 10 day challenge and the final result! 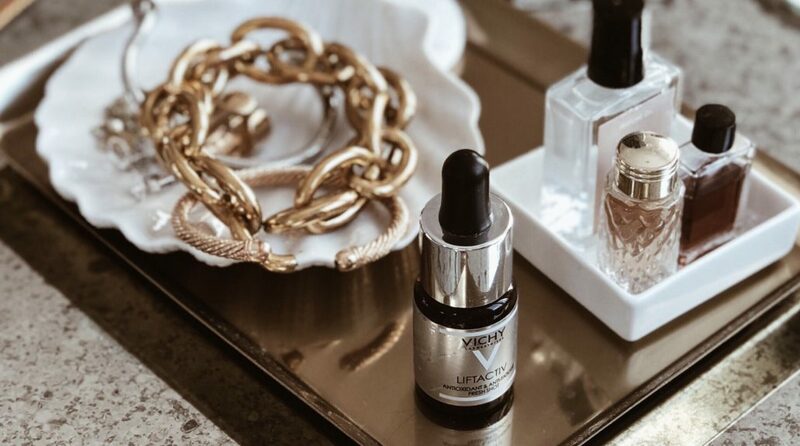 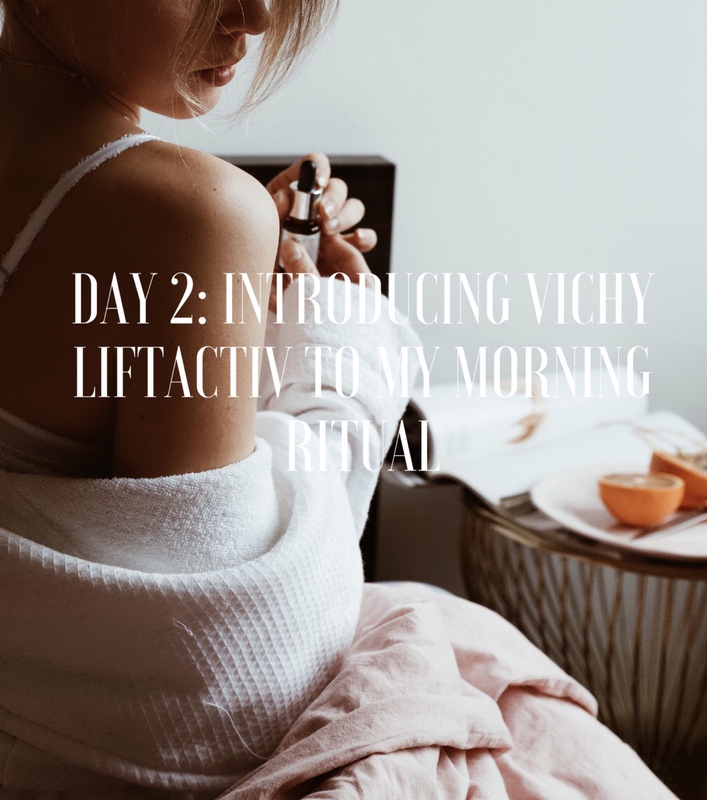 My fine lines are clearly reduced and I can’t help but notice the instant firmness that the Vichy Liftactiv booster is giving, especially noticeable around my skin crease near my mouth and eyes.